paaphsaahka niipinwiki is the fifth month of the Myaamia lunar calendar. It is named for it’s position at the mid point of niipinwi (summer). It is during this month that there is a pause in the agriculture cycle. The hard work of clearing, preparing, and planting was usually finished by this time of the summer and villages filled the down time before harvest with games, dances, and other social gatherings. It is during paaphsaahka niipinwi that pahsaahkaahkanka (summer solstice) occurs. The longest day of the year marks the center of summer and serves as the anchor point of our lunar calendar. Every three years or so, we insert waawiita kiilhwa (the lost moon) in order to ensure that pahsaahkaahkanka continues to fall in its proper place. If you want to read more about waawiita kiilhswa, click here. peekitahankiki myaamiaki neehi natowiaki (The Seneca-Cayuga and Miami play lacrosse). 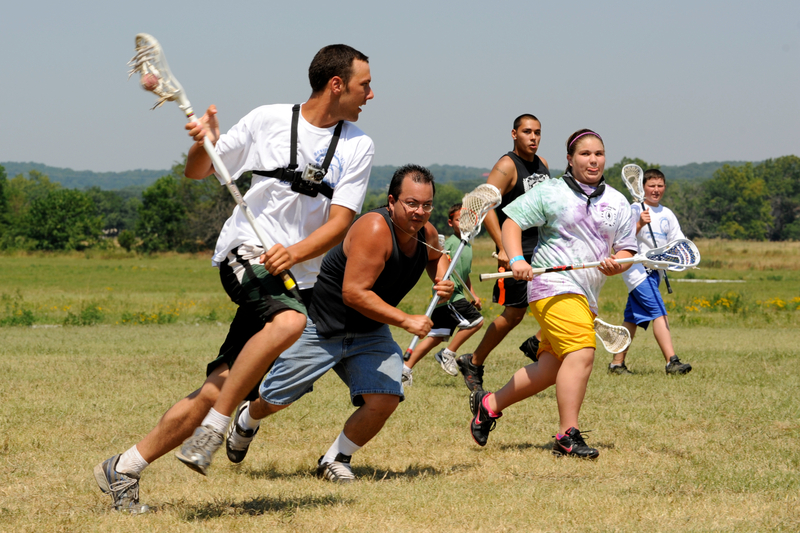 Mid-summer was a popular time for lacrosse historically and it remains so today. Our yearly game with our elder brothers, the Seneca-Cayuga, usually occurs around the time of pahsaahkaahkanka (summer solstice).